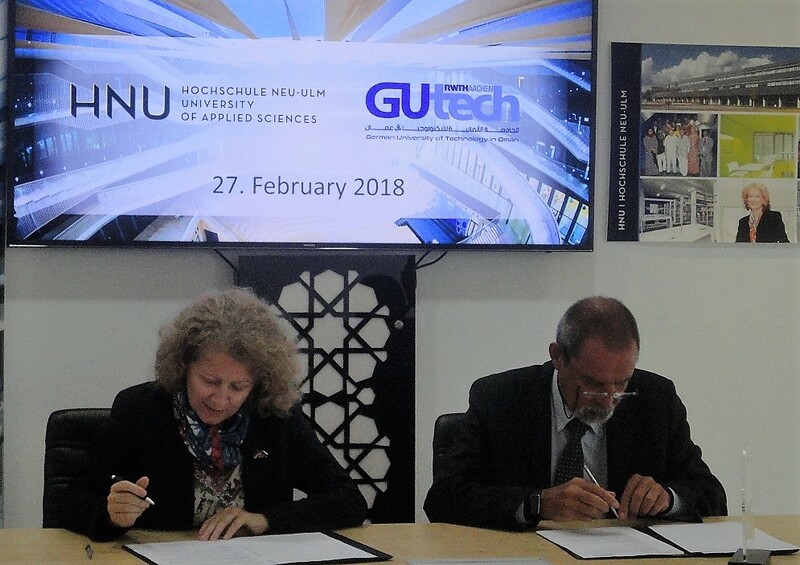 HALBAN To enhance scientific and academic cooperation as well as cultural exchange, the German University of Technology in Oman (GUtech) has signed a Memorandum of Understanding (MoU) with Neu-Ulm University of Applied Sciences (HNU) in Germany on Tuesday. The MoU was signed by Prof. Dr. Uta M. Feser, President of HNU and Prof. Dr. Ing. Michael Modigell, Rector of GUtech. The research activities and academic cooperation between both universities will focus on the field of International Business and Service Management (IBSM) and Logistics (LOG). The joint activities will include the exchange of faculty members, the exchange of students including internship opportunities as well as joint research and publications and the exchange of academic information and materials. “From the summer semester onwards, we are looking forward to sending up to three students per semester to HNU. In a first step, a group of our Logistics and IBSM students will be selected to study and conduct their internships at HNU. Last year one student from HNU studied for one semester at our Logistics Department,” said Prof. Dr. Heba Aziz, Head of the Department of Logistics, International Business and Service Management at GUtech. “We at HNU educate managers and specialists who have an international experience and who are result-oriented,” said Prof. Dr. Uta Feser, President of HNU adding that cross-cultural communication and team work are important. “We train our students to work in teams, while fostering the application of theory in practise.” Around 4,000 students are currently studying at HNU. The university has 70 professors and 40 research assistants. The university has three academic faculties: Business and Economics, Information Management, Health Management and a Centre for Professional and Postgraduate Studies. The University of Applied Sciences is located in the South Bavarian city of Neu-Ulm, which is an important hub for logistics, engineering, pharmaceuticals and healthcare. The university has around 70 partner universities around the world, all students of HNU have to conduct internships for one semester. The signing of the MoU was part of a visit of a delegation of professors and 24 students from HNU to GUtech, headed by Prof. Dr. Sibylle Brunner, Professor for Economics. The HNU delegation is conducting a cultural excursion to the Sultanate of Oman organized by students from different departments and held annually to different places around the world. End of last year HNU hosted the Omani exhibition “Tolerance, Understanding and Coexistence” on campus for one month. During a campus tour at GUtech, the German students were impressed of the facilities and the architecture of the GUtech campus. 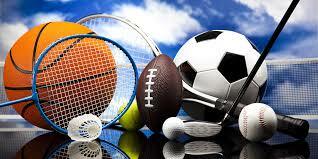 “I am visiting Oman for the first time. Before my travel, I have studied the Middle East. Oman is a very special, peaceful country,” said Oliver Stadlhofer, who is in the 2nd year of the MA programme in Advanced Management at HNU. Caption: The MoU was signed by Prof. Dr. Uta M. Feser, President of HNU and Prof. Dr. Ing. Michael Modigell, Rector of GUtech.